Give the modern mama on your list a holiday gift that she will love…one that makes her life feel a little less nutty and more special. 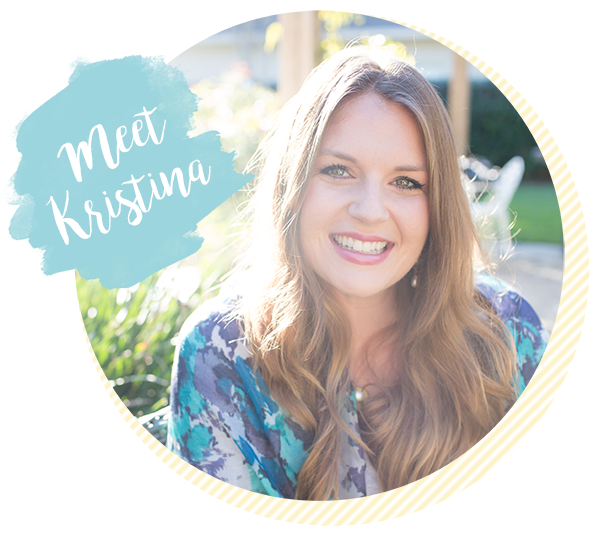 I am in love with all of these products in this guide as they make my life as a mom/wearer of many hats more happy and streamlined. 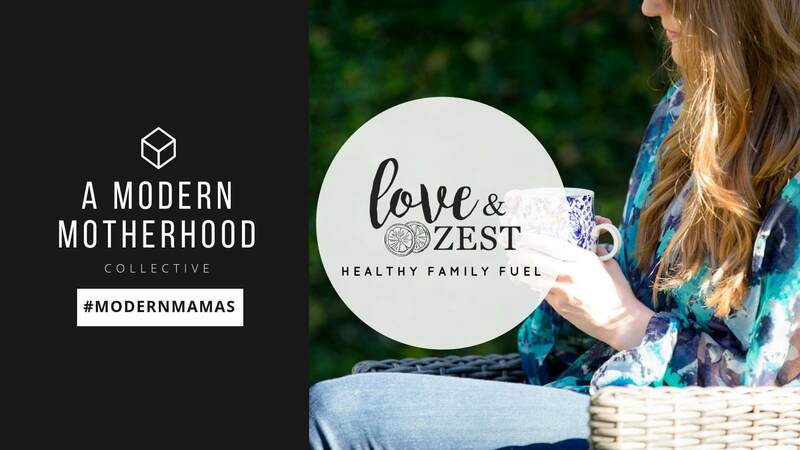 Each of these gifts are so helpful to me that I consider them modern mama essentials. 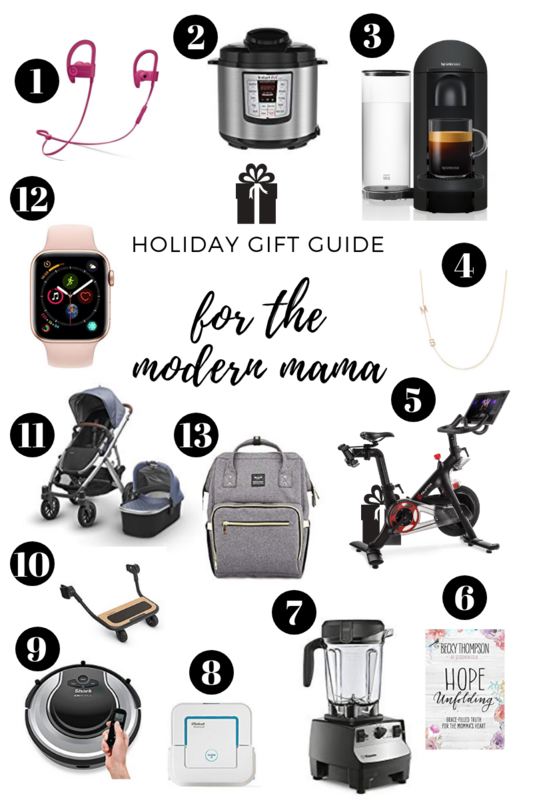 Weather you’re searching for the best gift for new a mom, wife or daughter, I hope you can find a few favorites for the modern mama in your life. And hey if it’s you, it’s time to treat yo’self! You deserve it after all the dirty diapers, carpool lines, all nighters and messes you’ve cleaned up this year. Powerbeats3: These wireless headphones are the perfect gift for the fit mom always on the go. Great for workouts and travel! Moms with littles can’t be attached to a cord. I pop these on during our afternoon walks or while riding the Peloton to help me workout harder and let’s be honest, it’s kinda nice to tune out the background noise every now and then. Instant Pot: Mama’s meal prep life will get a whole lot easier with this easy to use pressure cooker, slow cooker and so much more! Hey, maybe you’ll actually have dinner on the table when you come home, wink wink. We love our Instant Pot– for less mess and fuss when it comes to cooking dinners for the fam jam. Letter Necklace: And no one does it better than Maya Brenner, oh my gee. This necklace will melt the mama heart on Christmas Day because your little one’s initials is just so precious and sentimental gift for all the mamas. Oh and don’t worry, you can always add more letters down the road… if ya know what I mean 🙂 Hands down, best gift for new mom, ever. Peloton Bike: Gym time? With littles, yeah right! Thus, enter the Peloton, a convenient and immersive indoor cycling experience that brings the gym to you with daily live stream and on demand classes from their NYC studio! So many options for classes, and you can make it what you want. I’m quite obsessed and it’s what fitness looks like in the wake of mom life… great for the pelvic floor and unpredictable baby schedules. Hope Unfolding: Grace Filled Truth for the Momma’s Heart. This book by Becky Thompson is a gem and was actually a gift from my mother in law last year. I found myself nodding like “she gets it”, this is my life with every page. I’m not quite obsessed with this precious lady and her family and love following their adventures, and listening to her new podcast to keep hearing the truths spoken while in the midst of motherhood. Vitamix: Um y’all, if you don’t have one don’t wait. The most powerful blender that’ll make any mamma’s job in the kitchen easier – from soups to frozen veggies and fruit this blender will become your new favorite kitchen gadget! Robot Mop: I should title these next two “because mom life”. Like literally who has time to mop little crumbs up every day. We don’t have a dog so this mop makes me feel good about my little nugget crawling around on the floor and it also makes my type A heart very happy. Robot Vacuum: Verse from the first. If you get nothing else this year, go for the robot vacuum. There’s no better feeling that having “someone” clean your house for you. Our robot vacuum is part human, and she’s better known as “Roby”. UPPAbaby Vista Piggyback Ride-Along Board: This board snaps onto your stroller so your toddler hang on, and you can ride 3 deep. Or let’s be real- this is the convenient water, diaper, wipes stacking board when out shopping with the littles. UPPAbaby Vista Stroller. If you’re planning for more than one babe this stroller is it– stylish, spacious storage, and can transport up to 3 kiddos strolling like a single stroller (Insert praise hand emoji here). The also have amazing customer service if you ever need anything. Fitness Watch: The Apple Watch (or similar) is great for mom because she can be connected and hands free. It’s also great when you’re out an about and need to plug your toddler into PBS on the phone and you’d still like to be able to see if you have messages come through. Real life. Backpack Diaper Bag: There are a lot of cute and stylish mom backpacks out there but you can’t beat the price of this bag and all the storage compartments, because let’s be honest this bag is going to get messy and this one is tried and true and well loved. It’s also easy for dad to carry too. For more favorite motherhood products check out our shop! 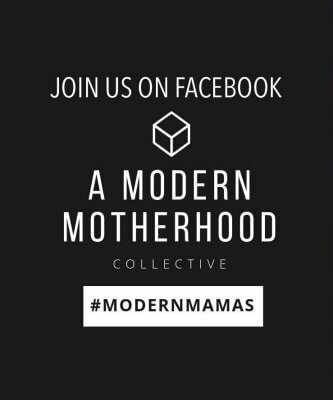 Oh and if you’re a modern mama– join our Facebook community! We’d love to have you there. I got a maya brenner necklace after having my daughter last February and it’s my favorite piece of jewelry (aside from wedding rings!). It holds up great! Same-I don’t take mine off. 🙂 What color did you get?